MV Agusta made their entry into the Indian two-wheeler market official today. The company has announced that Kinetic Engineering's new entity, MotoRoyale will be their Indian representatives. The first MotoRoyale dealership is expected to open tomorrow in Pune, with three F3 800s scheduled for delivery. 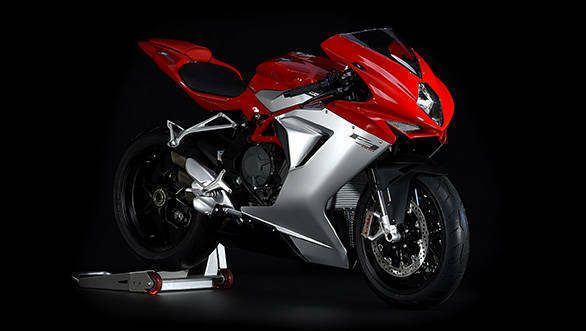 MotoRoyale also has the rights to distribute MV Agusta's premium Italian motorcycles in Sri Lanka and Bangladesh. After Pune, MotoRoyale is set to open dealers in Ahmedabad, Bangalore, Delhi, Chennai and Mumbai. The company intends to open five dealerships in 2016 and another four or five in 2017. MotoRoyale also confirmed to us that they will exclusively retail MV Agustas for the next two years, but other brands may be added starting in about two years' time. MotoRoyale will offer after sales and service support to MV Agusta customers in India. MV Agusta was established in 1945 and is an Italian brand with great racing, as well as product, history. Today it is based and run out of Italy. Mercedes-AMG owns a 25 per cent stake in the motorcycle maker. Kinetic Engineering, in case you didn't know, is a diverse industrial and engineering company which formerly made scooters under its own eponymous brand. Today apart from MotoRoyale, the company is in many businesses including automotive components. 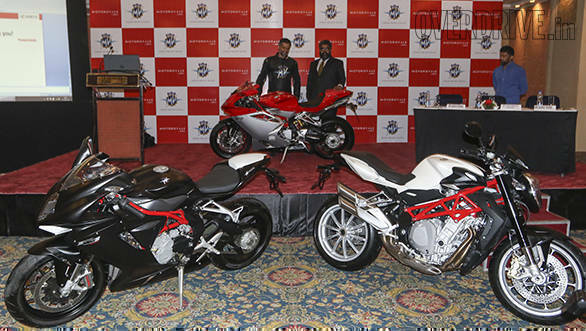 MotoRoyale and MV Agusta are beginning their Indian adventure with two four-cylinder motorcycles that are direct imports (CBU) and the F3 800 triple-cylinder sportsbike which will be locally assembled (SKD). The top motorcycle is the MV Agusta F4, a Tamburini-designed four-cylinder sportsbike that features all of the latest technology. The 998cc inline four makes 198PS and the motorcycle is priced at Rs 26.87 lakh ex-Pune. Also on sale is the F4 RR a harder core, higher spec version of the F4. This one makes 201PS and is priced at Rs 35.71 lakh, also ex-Pune. 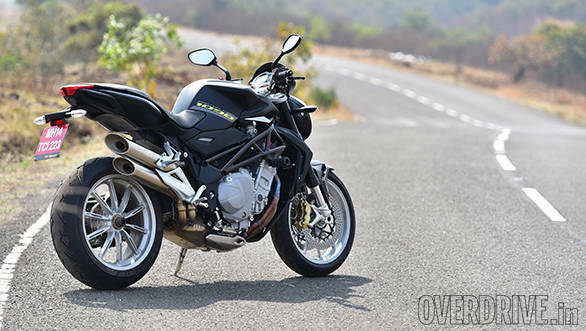 The Brutale 1090 uses a 1078cc inline four making 144PS for a reasonably comfortable useable sportsnaked. The Brutale 1090 is priced at Rs 20.10 lakh ex-Pune. MotoRoyale will also offer the Brutale 1090 RR which makes 158PS and is priced at Rs 24.78 lakh ex-Pune. The most delicious models though are the three-cylinder 800s. MotoRoyale say the new Brutale 800 is far, far superior to the old one and should go into CKD assembly beaten April and June 2017. If the prices of the CKD assembled F3 800 are any indication we expected to see the Brutale 800 prices in the Rs 14-15 lakh ex-Pune region. The first CKD model, though is the beautiful F3 800. This 173kg (dry) supersport sounds terrific! It wears a new 148PS three-cylinder engine with fully adjustable Marzocchi suspension, Brembo Monoblocs and Pirelli Diablo Rossi Corsas. The F3 800 is priced at Rs 16.78 lakh ex-Pune making it the most affordable MV in the line-up until the Brutale 800 arrives next year. Want more? The F4 RC, the very top model in the MV Agusta range will also go on sale later this year for a whopping Rs 50 lakh price tag.